There is little doubt that your vehicle is important to you, and for good reason. After all, you have driven many miles with it, and there is a good chance that you’ve invested quite a bit of money into it. So the time has come in which you will need to find a way to transport it across the country without causing serious damage to it, or at the very least, avoid the elements that it might otherwise be exposed to. There’s a bit of a catch, however: you’re transporting a classic car, and you have no idea where to start. First of all, you’re going to need enclosed car transportation rather than the open transportation that many people will settle for; that’s definitely where you want to start. The second thing that you will need to do, is get a quote, and it all starts with taking into account the condition of your vehicle. * What is the value of your vehicle? * How long have you owned it? * Are there any defects that you are aware of? * Have you made any modifications that could increase the value? * Has the vehicle been bestowed with ‘diminished value’? These are five points that you will need to start with, though you can probably think of many, many more if you put your mind to it. These will all play a huge part in helping you to find a good value for shipping and enclosed transport, but this is just the first part of getting the quote you need. The next thing that you will want to do, is make sure you’re able to find a company that offers everything you want. For example, are they able to offer a shipping solution that conforms to the type of vehicle you have? One of the biggest things that needs to be considered, is the fact that every single car is different, and with that being the case, different shipping conditions will apply. If you find the right company, however, this won’t matter at all. As a company that is family owned and with twenty-five years of experience, we are far from the typical corporate fare that you would find while searching for a good shipping company. 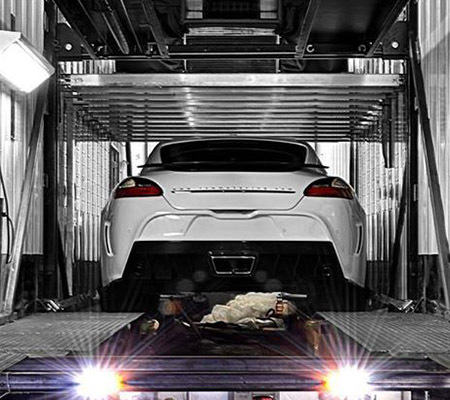 We care about each and every car that we transport and our ultimate goal is to ensure that yours actually reaches its destination in the same condition that it left. Ensuring that you check the items that we mentioned above is the first step to getting the right transport options for your classic car. For a venture like this, there is no doubt that you are going to need insurance. You should note that vehicle carriers of this nature are in fact required to carry insurance in the even they run into problems, but instead of relying upon that, it would be within your best interest to start looking into insurance coverage of your very own. When it comes right down to it, the more insurance you have, the better off you are going to be. This is especially true when it comes to classic cars, so do try to keep that in mind before you send your vehicle down the road. Your classic car is worth a lot of money, and there is a good chance that it has a lot of sentimental value to you. That being said, finding the right enclosed car transport companies to get the job done is absolutely essential. Make sure that you are asking the right questions, and overall, make sure that your vehicle is going to reach the intended destination without so much as a dent or a scratch. It can be done, and the right transport company can help.